Blogger's note: p.m. terrell shares her planning process, today, as part of her Goddess Fish blog tour. p.m. will be giving away gift baskets from the real town of Lumberton, where Vicki's adventure takes place. (US/Canada only) Follow the tour and comment; the more you comment, the better your chances of winning. Find tour dates here. I am often asked if I ever get writer’s block and I can honestly say that I never have. I believe it’s due completely to the fact that I pretty much formulate the entire book in my head before I begin to write. This often means that I am researching and thinking through one book while finishing another and editing a third. I am a voracious reader and it’s often the little known, overlooked facts that grab my attention. For example, when I read a tiny article buried deep in a thick newspaper about uranium in Afghanistan and its importance to China and Russia. That got me into a research mode in which I learned about the strategic importance of the region and also the fact that both Afghanistan and Tibet have the highest sources of uranium (used for nuclear bombs) of anywhere on earth. I knew this would have to factor into an international suspense plot. I also comb through the CIA’s declassified records. They have them on their own website and there are many other websites that provide additional information on virtually any subject. When I stumbled onto the real psychic spy program that began during the Cold War and is still in use today, I knew I had to include a psychic spy in my Black Swamp Mysteries series of books. Based on those two plots, I began writing Vicki’s Key, the story of a psychic spy who decides to start over in a small town assisting an elderly woman after a psychic mission goes very wrong. 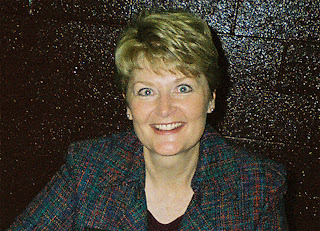 I had been speaking with a book reviewer, Donna Coomer, who travels the world working in a variety of jobs in return for room and board. I made the comment to her that I could never do what she does—if I tried to, it would be just my luck that my first assignment would be with an axe murderer. That began the premise for Vicki moving to a small town. When she arrives, she finds that Laurel Maguire has suffered a stroke and is confined to a bedroom on the third floor of a rambling, old house. Her charming nephew Dylan has arrived from Ireland to care for her and Vicki very quickly falls in love with him. But all is not what it seems to be in the haunted house, and when the CIA arrive to recruit Vicki for one more mission, she finds that her past and her future are about to collide—in murder. It was important for the plot to have Vicki as somewhat naïve; she had been separated from her siblings after her parents were killed in an airplane accident. The separation would have her looking for her sister and two brothers throughout the series. The romance was very important in this book for several reasons: it gave me the opportunity to introduce a man who is emotionally Vicki’s opposite and it also helped to further the plot. Dylan Maguire became so popular with the editors and advance readers that it was decided he had to remain a main character. So in the next book in the series, Dylan is back in his first assignment with the CIA: to interrogate recently captured Brenda Carnegie. That book, Secrets of a Dangerous Woman, will be released this fall. I decided to have about five main characters who are tied together through circumstance or blood so I could easily move between them as the plot warrants. I am currently researching the next book in the series, Dylan’s Song. I know the personal history that will unfold and have been researching Ireland in the period before the United States becomes involved in World War II. The research will have me going to Ireland, particularly the rural areas, which I am really looking forward to. I know the trip will inspire a lot of books set in that mystical, beautiful country. 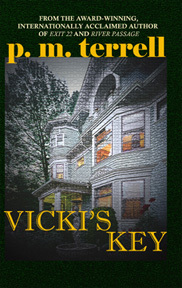 Read an Excerpt of Vicki's Key here. Thank you so much for having me today! I'll be checking in throughout the day and answering any questions anyone would like to ask. It is wonderful to like a character and then to see them again in another book. I enjoyed writing about the same characters, too. I usually go through a bit of withdrawal at the end of a book, like guests have gone home and the house is empty. But with a series, I just start the next book and it feels like I'm surrounded by the same friends right away. Certainly some great accolades...The "next John Grisham"?? Wow! I think that any and every author would want that. I'll have to try to get you to my Library in Wilmington one day for a book signing.